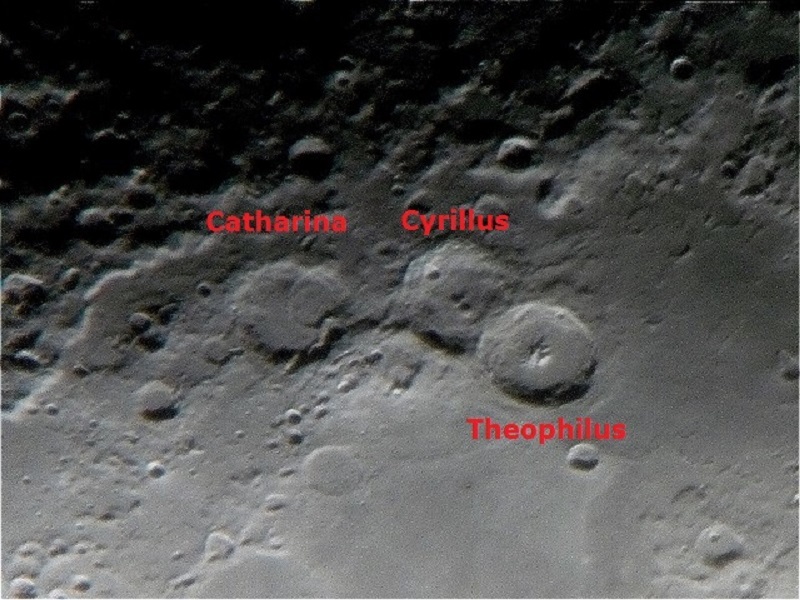 Theophilus, Cyrillus and Catharina (L8). Theophilus: diameter 100 Km and depth 3.2 Km. 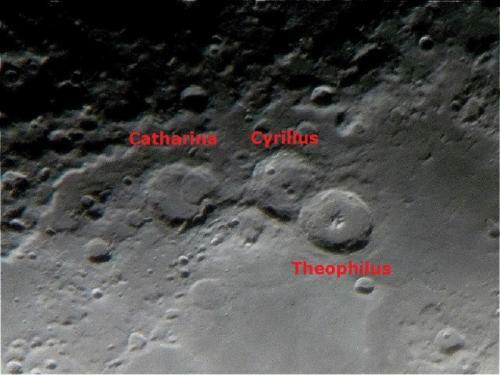 Cyrillus: diameter 98 Km and depth 3.6 Km. 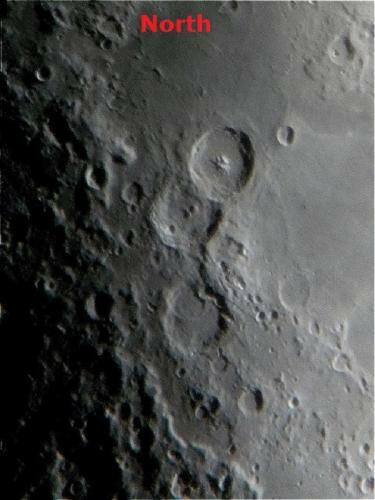 Catharina: diameter 100 Km and depth 3.1 Km. 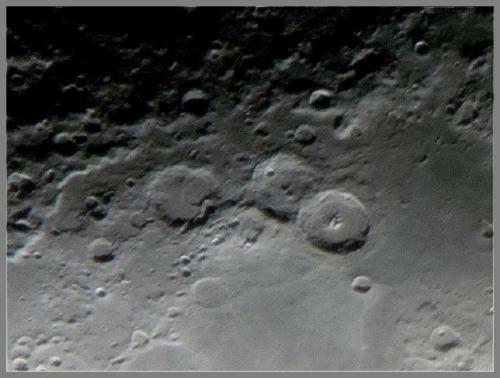 Telescope reflector aperture 130mm (5.1"), focal length 650mm, eyepiece (1.25") 13mm and Barlow 2X. Software used RegiStax6 and Fitswork4. Shutter speed 1/20”, ISO 400, F 5.6 and focal length 17mm. Date: Jul 10, 2016.  Hour: 21:13 (01:13 UTC). I agree with Mark. Good job! Many thanks Mark and Bill.